According to the American Trucking Association – Even a single intra-city truck with graphics can generate up to 16 million visual impressions in a year. 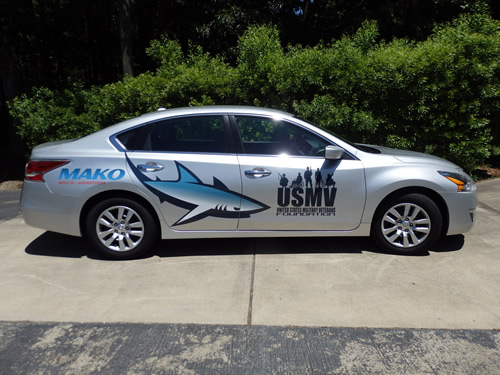 Vehicle wraps are a great way to increase your brand awareness (the number of people that recognize you). Most businesses benefit from the increased awareness that vehicle wraps bring, and there are several industries in which mobile billboards can have a major impact on sales. Either full or partial vehicle wraps provide great opportunities for businesses providing service calls, catering, and trade businesses (ie: landscape, construction, roofing, etc.) to quickly and easily promote themselves all over the Cary area. Wraps are a 24/7 advertising tool that continues marketing your business even when you’re not at work. Wrap advertising consistently ranks as the highest dollar for dollar returns in advertising costs. Think about how many people could see your vehicle while parked at a job site or while getting materials. It’s more than just a few. Repetition is everything when working to get the phone to ring. The more your potential customers see your business, the easier it becomes for them to remember you when they need your product or service.